Offering you a complete choice of products which include grain screw conveyor, belt conveyor, screw conveyor, material handling conveyor, flat belt conveyor and gravity roller conveyor. VERTEX INDUSTRIES manufactures Grain Movers from 400 mm Belt width up to 1500 mm Belt Width. Grain Movers are used for abase handling, husk handling grain handling, the pharmaceutical industry, and other industrial applications. The frame of the Grain Mover is of pressed steel section. It helps for easy installation and transportation. Excellent sanitation and hygiene thanks to sophisticated design: The feed belt of the belt feeder VERTEX features a circumferential sealing edge. It guarantees the highest level of product safety and hygiene. Removable cover sections on all sides enable fast and thorough cleaning and reduce downtimes when changing the feed belt to a minimum. High operating reliability:Speed detector, overflow gate, monitoring of performance. Low maintenance cost and long life cycle: The rugged construction without wear parts increases the life cycle of the machine, which in turn reduces the maintenance costs. 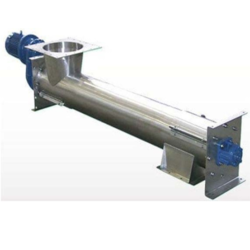 Top sanitation standards: The trough screw conveyor is equipped with a removable cover and as an option with bottom gates. Both elements ensure easy access to the trough and to the screw, allowing optimal cleaning. We are offering Material Handling Conveyor to our client. We are one of the well-established companies among the companies in manufacturing and supplying a broad range of absolute quality of Flat belt conveyor. 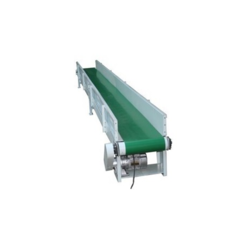 We are offering a wide range of efficient quality of Flat Belt Conveyor to our respected client that is widely used in various sectors of industries for transferring. 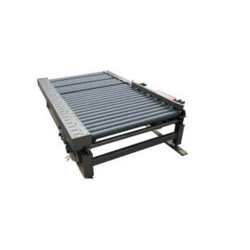 Flat belt conveyor is well known among our clients due to its advanced features, latest design, and high performance. 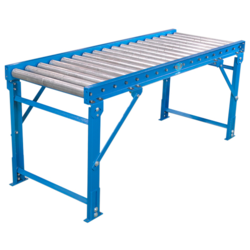 Flat belt conveyor is manufactured by supreme quality of raw material with the help of a team of personnel. 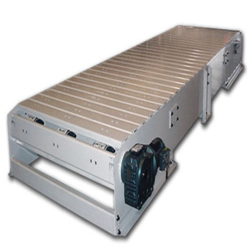 We offered Flat belt conveyor at a very convenient range of prices. 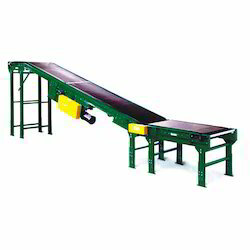 Flat belt conveyor is accessed with the help of a flat belt and connected with electricity. 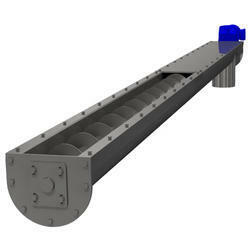 In order to fulfill the changing demands of our clients, we are offering a quality range of Gravity Roller Conveyors. 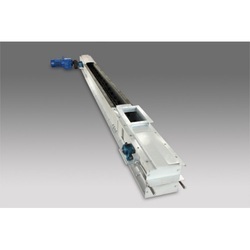 These roller conveyors are widely used to carry lightweight packages. The offered machines are useful in setting up permanent or temporary conveyor lines in shipping departments, warehousing activities, and assembly areas. Before the final dispatch, these conveyors are thoroughly checked by the quality analyzers on varied parameters to ensure their flawlessness. 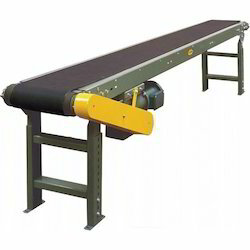 We offered Roller Conveyor precision designed constructed finish and can be made available in finish options comprising carbon steel, zinc plated finish with frame support of powder coated carbon steel material or in stainless steel galvanized, rubber coated roller finish with aluminum, galvanized frame options. Some of its features include extendable powered automatic roller conveyor; controllable conveying speed adjustable direction option; suitable for use in areas like a warehouse, storehouse, workshop, and others. 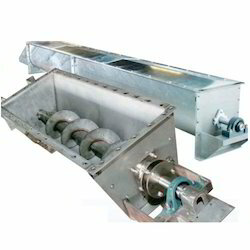 The increasing sanitation requirements in processing plants such as grain mills and animal feed mills are fully satisfied by the trough chain conveyor VERTEX equipped this special chain conveyor with a self-cleaning reversing station and an equipment maximum operational reliability and plant availability. Up to 200 tons of grain, flours, animal feed and other bulk. High operational reliability: The zero-speed sensor integrated into the deviating shaft detects any standstill of the chain and stops the conveyor immediately. A sensor-controlled automatic chain tensioning system ensures an exact and controlled chain tension. The material high-level sensor in the driving station guarantees high plant availability. Easy maintenance: Owing to the use of screw fastenings in the chain sprocket and the chain flights, the components in the conveyor can be exchanged at any time. We are offering Truck Loader Conveyor to our client. We are offering Tubular Screw Conveyor to our client. 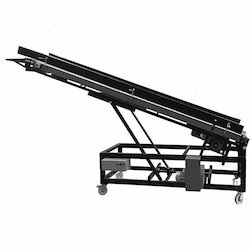 As a well-known engineering unit, we are affianced in offering Slat Conveyor used in transporting and moving materials or objects in the heavyweight from one place to another. Widely used in industrial and manufacturing establishments, cafeterias and food service facilities are designed with the use of industry standard materials like fine quality plastics, electric motors, chains making it a best in use for our customers' requirements. We are offering Automatic Chain Conveyor to our client.